The top of a California King size mattress is approximately 72 inches by 84 inches. Our California king size duvet cover measures approximately 102 inches by 100 inches, this will give you plenty of room to install the interior filling which would be your comforter or duvet. A comforter or duvet is basically the same thing except the duvet can tend to be a bit fluffier. The product for sale here is the duvet cover. The duvet itself can also be ordered here as an option, as can a set of sheets which will match your duvet cover. 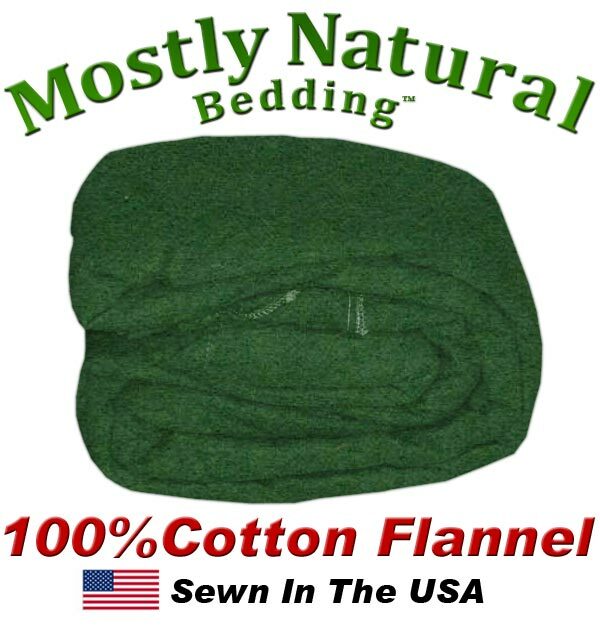 Flannel Duvet Cover California King Size Hunter Green Color Soft and Warm.